Enjoy the best inspirational, motivational, positive, funny and famous quotes by Alan Blinder. Use words and picture quotations to push forward and inspire you keep going in life! 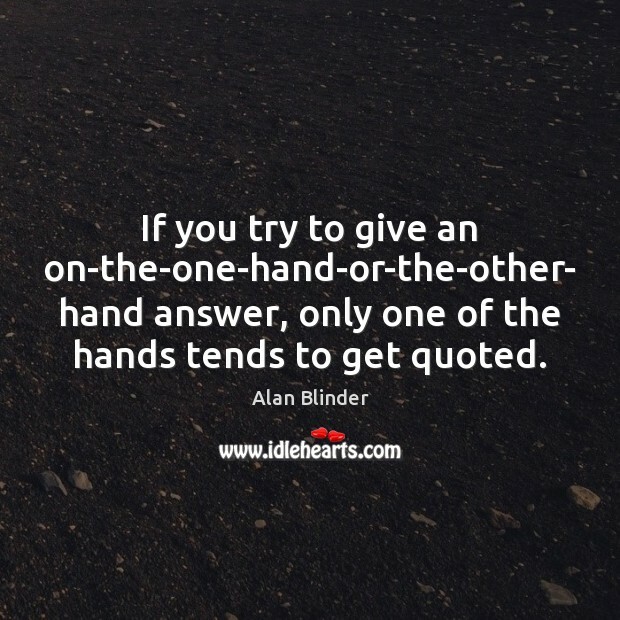 If you try to give an on-the-one-hand-or-the-other- hand answer, only one of the hands tends to get quoted. 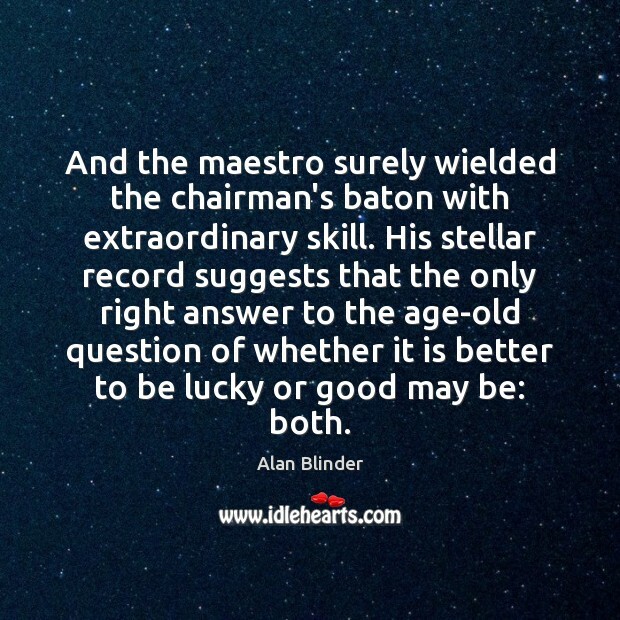 And the maestro surely wielded the chairman's baton with extraordinary skill. His stellar record suggests that the only right answer to the age-old question of whether it is better to be lucky or good may be: both. 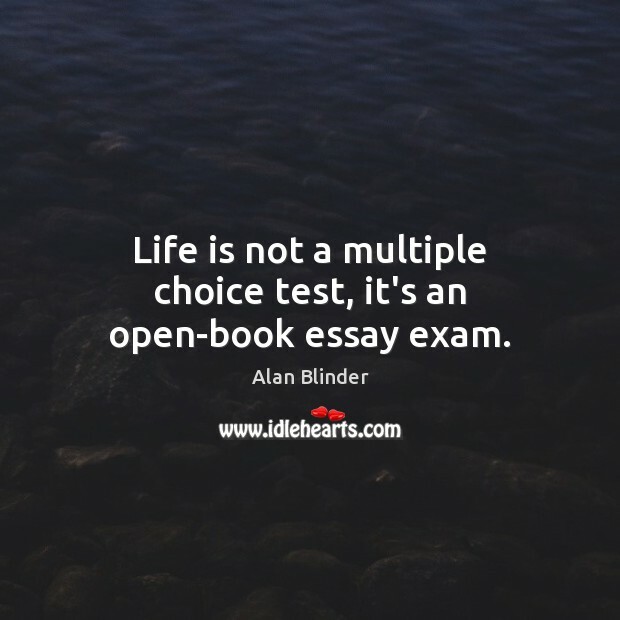 Life is not a multiple choice test, it's an open-book essay exam. 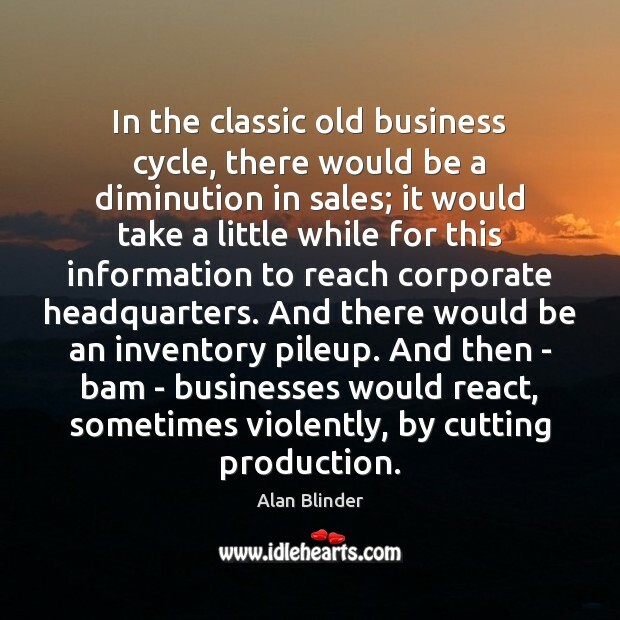 In the classic old business cycle, there would be a diminution in sales; it would take a little while for this information to reach corporate headquarters. And there would be an inventory pileup. And then - bam - businesses would react, sometimes violently, by cutting production. 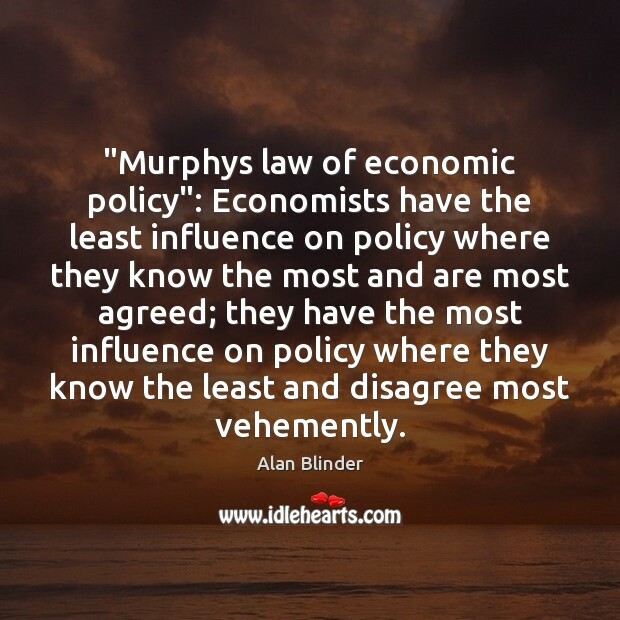 "Murphys law of economic policy": Economists have the least influence on policy where they know the most and are most agreed; they have the most influence on policy where they know the least and disagree most vehemently. 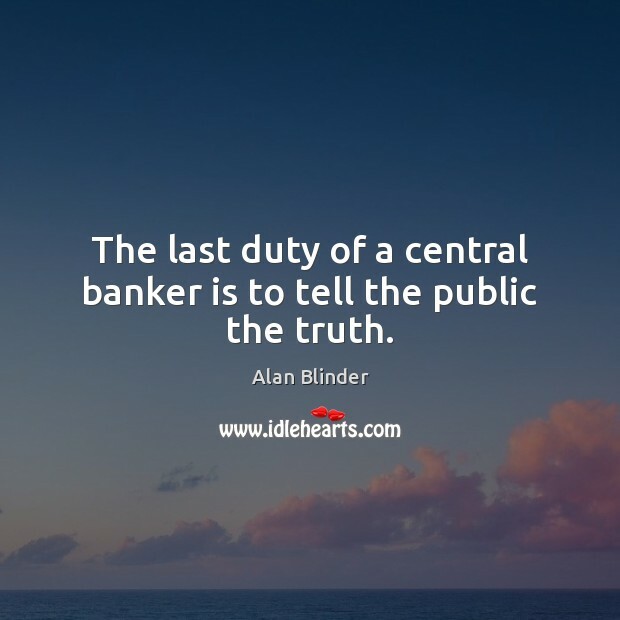 The last duty of a central banker is to tell the public the truth. 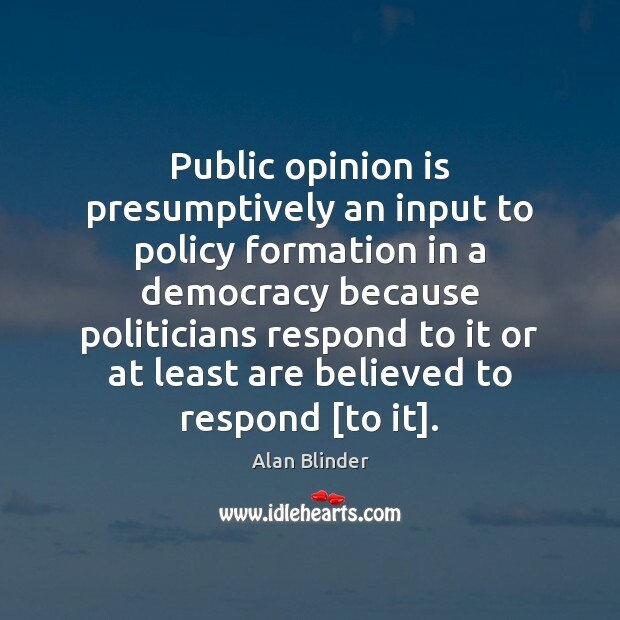 Public opinion is presumptively an input to policy formation in a democracy because politicians respond to it or at least are believed to respond [to it]. There is a kind of a cascading chain, ... 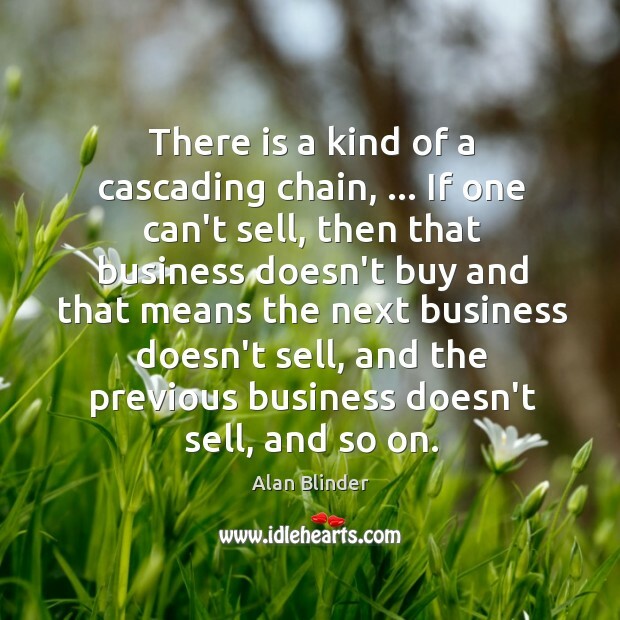 If one can't sell, then that business doesn't buy and that means the next business doesn't sell, and the previous business doesn't sell, and so on.